Surprise! There’s going to be a Windjammers Evo tournament. Publisher and developer Dotemu has announced the Windjammers Global Disc Throwing Championship to take place at the world’s largest fighting game tournament. To mark the occasion, Windjammers has been discounted a massive 90%! The Global Disc Throwing Championship came a bit out of left field, considering the Evo schedule has been laid out already. Disc throwers will be competing for a cool $3,000 prize. The finals will take place on Saturday, August 4, and can be seen on the Evo Twitch channel. The tournament will be hosted by famous Windjammer Austin “Creedjammer” Creed, who will also be broadcasting the Windjammers Evo Tournament on his YouTube channel. To mark the occasion, Windjammers is getting a massive slash in prices. It will be discounted 75% for everyone, but PlayStation Plus members can get it for 90% off! That’s a paltry $3.74 for non-subscribers and $1.49 for those in the club. Considering we called the game “a blast,” you may want to check it out. 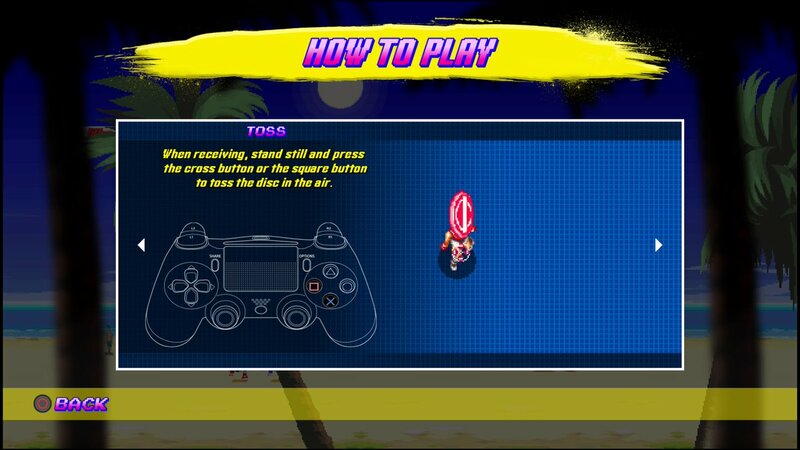 It is available for PlayStation 4 and PlayStation Vita, and a Windjammers purchase gives you both versions of the game. The sale lasts until August 6. Dotemu has teased other announcements and surprises this weekend, so be sure to stick around if you’re a Windjammers fan. Evo, the world’s premier fighting game tournament has kicked off today and runs through the weekend. Featuring eight of the biggest fighting games out there, the tournament will also feature playable demos for upcoming fighting games as well.